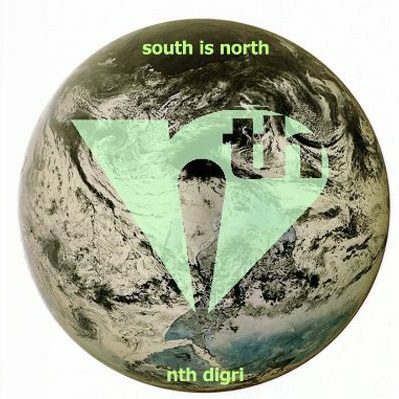 The nth digri is inspired by his Caribbean, Canadian and African heritage. His work is featured in the recent collection of African Canadian writing, The Great Black North, as well as The N’X Step anthology. His poem, “Rows of Photos,” was produced as a video for Much Music, and featured on the CD Word Up (Virgin/EMI). In 1999, he produced the critically acclaimed CD, WordLife, which featured the best of African Canadian spoken word poetry along with music by some of Canada’s most innovative hip-hop and reggae producers. His first full-length record in 1998, Return of the Rap Poet, was followed in 2003 by the album, Tales of the North Coast, which was nominated for a Canadian Urban Music Award for Best Spoken Word Recording, and also earned a nomination for a Harry Jerome Award (Black Canadian achievement awards). The record charted on campus-community radio across Canada and the US, and distributed world wide on Loud Dust Records. In 2013, he released the album south is north, producing and creating the music as well as lyrics. His work has also appeared in various print publications, including the celebrated literary journal, Kola, who awarded him winner of their national competition for Black Canadian poets. In 2012, he was also featured in the landmark collection of leading African Canadian poets, The Great Black North (Frontenac Press). As a performer, the nth digri has featured in shows across Canada, the US, and the Caribbean, including Scream in High Park in Toronto, the Festival Voix d’Ameriques in Montreal, the NuYorican Poets Café in New York City, and the World Creole Music Festival in Dominica, West Indies. He produced a popular urban poetry series in Ottawa, the Golden Star Lounge, and led a contingent to Chicago for the National Poetry Slam, where his poem “Sugar Cane,” was selected to appear in the Best of the 2004 NPS anthology. His performances have been broadcast nationally on radio and TV, including CBC Radio, MuchMusic, and CityTV. He was also the 2003 Ottawa slam champion, and co-founder of the 2004 Canadian Festival of Spoken Word, the first ever national slam poetry tournament in Canada. He was recognized as the Festival’s Poet of Honour in 2010, and also recognized for his achievements by the Ottawa VerseFest Festival in 2015 when he was inducted into their Hall of Honour.In 2003, Anthony coordinated a national performance exchange/tour of African Canadian poets from across the country, as co-founder of the artist networking initiative, the Northern Griots Network. In both 2013 and 2017, he coordinated a project to travel as part of a group of influential Canadian spoken word poets to perform and conduct workshops at the Cascadoo Festival of Caribbean Spoken Word in Trinidad and Tobago. And in 2015, the organization produced the ground-breaking South-North Griots Summit at Harbourfront Centre in Toronto, bringing together international spoken word talents from Canada, the Caribbean, US, UK, and South/Central America. In 2016, the nth digri was featured in Accra, Ghana at the Nkabom Literary Festival and the Chale Wote Festival as part of VOCAL (Voices of Canadian Artists Linked), a group of accomplished spoken word artists traveling to perform, conduct workshops, and engage in dialogue with Ghanaian artists at this acclaimed and innovative street arts festival. In 2017, he published a book of his work, sirius ting, and is currently working on a record of the same name, to be released in 2019.